Piya Hanvoravongchai is a public health physician with interests in international health policy and health economics. His work focuses on the areas of health system development, healthcare financing, health workforce management, and health policy. 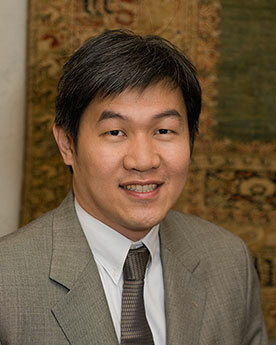 He currently serves as Program Director of the Equity Initiative: Transformative Leaders for Health Equity.He also is the CMB Foundation Thailand Representative. Piya is a lecturer and an assistant director of the Thailand Research Center for Health Services System at Chulalongkorn University. Piya advises the Office of the Civil Service Commission and Ministry of Public Health in Thailand on health workforce planning and management. He serves on a number of committees for Thailand Health Security Board, Thailand Social Security Fund, and Thailand Health Promotion Foundation. Prior to joining CMB, Piya was a lecturer at London School of Hygiene and Tropical Medicine, the coordinator of the Asia-Pacific Alliance on Human Resources for Health, and a research fellow at International Policy Program in Thailand. He received his M.D. from Mahidol University in Thailand, M.Sc. from London School of Economics, and S.D. from Harvard School of Public Health.